Everybody knows that earning good grades in school offers a ton of benefits. However, were you aware that good grades can also save you money on your car insurance? It’s true! Many different auto insurance companies offer what is called a good student discount for young drivers of high school or college age. All you need to qualify is to be enrolled full-time and keep your grades at a B-average (3.0 or higher). These terms may vary from policy to policy, so be sure to check with your insurance agent for specifics. A place on the Dean’s List or landing in the top 10th percentile may also bump up your discount. The good student discount comes from the fact that good students are better drivers and more responsible behind the wheel. Several different studies have proven conclusively that students with the highest GPAs (grade point averages) drive their automobiles with a greater sense of caution than most other young drivers. 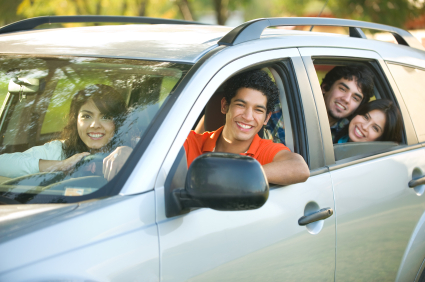 Enter your zip code to find cheap car insurance for students. Certain insurance companies may place an age restriction on this discount and limit it to ages 16-24. This is because your typical insurance company will give you an ‘experienced driver’ discount starting at age 25. The good student discount is also dependent upon having limited experience behind the wheel, usually around eight years or less. Unfortunately, older adults returning to school after many years might not be eligible for this discount. This usually reduces your premiums on Liability Insurance (specifically Property Damage and Bodily Injury Liability), Collision and Comprehensive Coverage, and Medical Payments. Auto insurance providers vary on how much of a discount they will provide you, but on average, if your student driver meets all of their requirements, it may be as high as 10-20%. You won’t have to be a valedictorian to recognize the benefits you could obtain from your student auto insurance provider. Find a quote from numerous dependable companies in your location right now to discover which auto insurance discounts you are eligible for. You might use the remaining money to pay for those late night pizza parties or a spring break vacation, which is just more motivation to study hard!